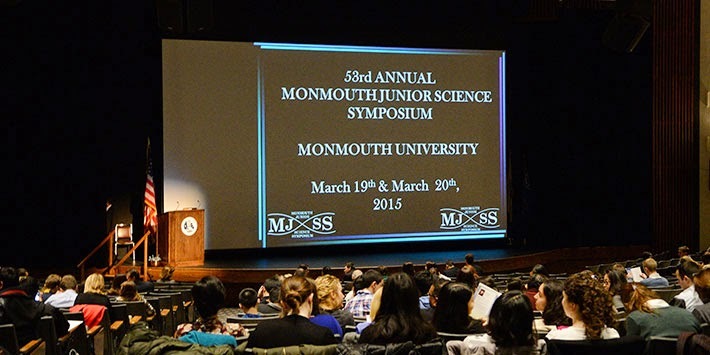 (West Long Branch, NJ—March 19, 2015) Four High Tech High School students presented their work at the General Poster Session at the 53rd Annual Monmouth University Junior Science Symposium (MJSS), announced Dr. Joseph Giammarella, Principal of High Tech. George Iskander of Bayonne, Kearny residents Kylie Long and Sabina Ohkawa, and Anisha Mahat of Harrison joined Dr. Nina Lavlinskaia for the event. Iskander, a junior, solved many science-related problems and collected a number of gifts for his effort. 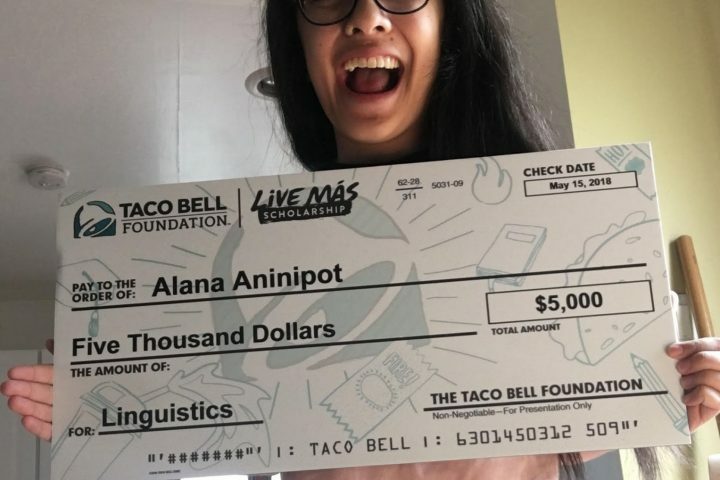 Ohkawa, also a junior, earned third prize for her project in Thermochemistry, i.e., identifying the role of convection currents in the so-called Mpemba Effect, when warmer water freezes faster than colder water. Mahat, a senior, also earned third place for her poster on “The Underlying Effects of Human Prostate Cancer Cells and Mouse Osteoblasts on the Expression of Protein Scelrostin.” She performed her experiments as a summer scholar in Professor Woo Young Lee’s state-of-the-art lab at Stevens Institute of Technology, where she used 2D co-culture with and without contact and 3D co-culture, and received a special award from the U.S. Army Armament Research, Development and Engineering Center(ARDEC) as the runner-up for the best work in Nanotechnology. ARDEC also recognized the work of Long, also a senior at High Tech, who suggested a novel technique for fabrication and design of a microchannel for micromixing, very important in the field of nanotechnology. Long worked at NJIT and received a special award as a runner-up in Advanced Materials Science and Manufacturing at the banquet given to students and teachers on the first day of the Symposium. 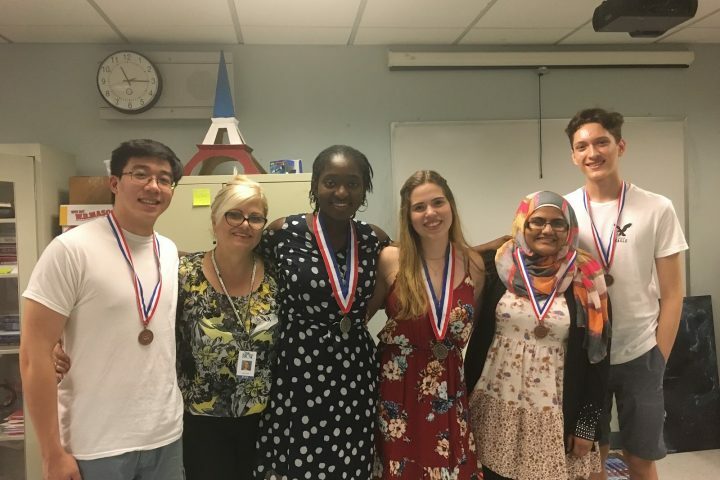 The two-day event (March 19th and 20th) offered presentations from New Jersey high school students of their individual science research project. These presentations at MJSS afforded students the chance to report their experimentations and research to an assembly of their peers, instructors, and other scientifically-minded people. Judges singled out papers and posters for special recognition. In addition to the MJSS, a science-based scavenger hunt saw students competing for memorabilia, gift cards, and other prizes. As a point of fact, General Poster Session participants may present no more than four poster per participating school. 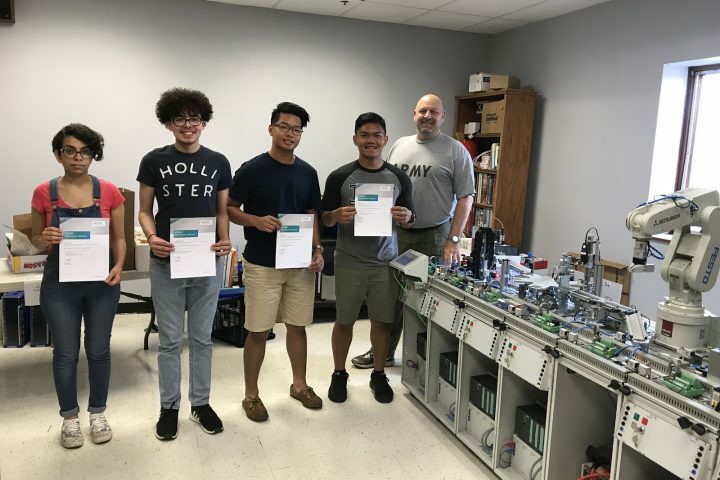 As of this moment, the High Tech Science Department’s Research Team has acquired five medals and two special ARDEC awards in two very different and difficult competitions.